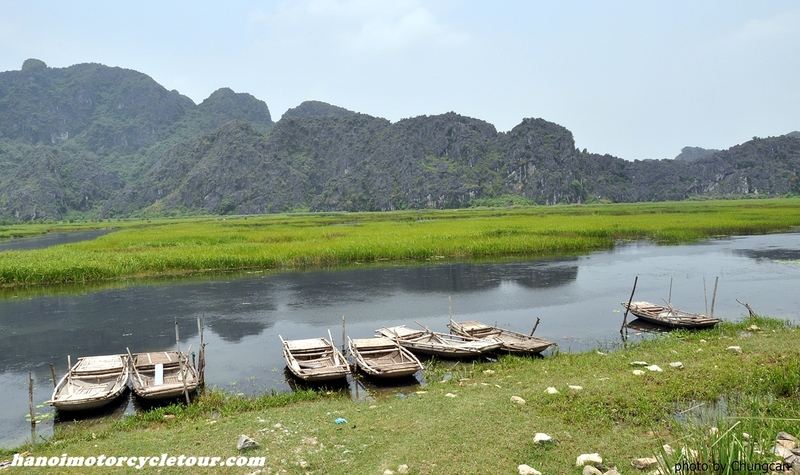 Ninh Binh located in a special border land to Northwest, North-Central and Red River delta in which the river delta, mountainous region and half-mountain half-plain. With the unique geology, Ninh Binh is given some special natural attractions those are on the way to be the Natural world heritage sites. It’s around 120 km from Hanoi to Ninh Binh on the highway, however to have a great motorbike ride to Ninh Binh with Vietnam Motorbike Tour Expert we would need from 2 or 3 days to have time and chance to experienced the hidden beauty of Ninh Binh with safety and unique way. * Hoa Lu – Ancient Capital of Vietnam. Hoa Lu used to be the capital of Vietnam in 968 when Dinh Bo Linh took his crown after he defeated 12 regional armies and founded the country. Mountains, rivers and old citadel make the scenery wonderful. The two temples dedicated to King Dinh Tien Hoang and Le Dai Hanh offer tourists a glimpse of Vietnam image in the 10th century. Some million years ago, Halong Bay used to connect with these limestone mountains. Vestiges of the ocean still remain through the erosion of the mounts-Caves can offer an adventurous tour to many curious tourists. Boat trips on a little river along the rice fields to three mountains with caves are very interesting. After a long but great motorcycle ride have seat on a small boat and ride through the mountains on the rice fields with flowers. An interesting walk through the rice fields to the temple in memory of the Tran Dynasty. The bell tower is prominent in the front yard. temple seems small but the heroes worshipped here used to defeat Kublikhan’s army for three times. A nice pagoda built quite long time ago is situated at a scenic area. There are many statues of Buddha. The bell tower is well decorated. The incense and the sound of the bell seem to transfer tourists to the holy world of Buddha. 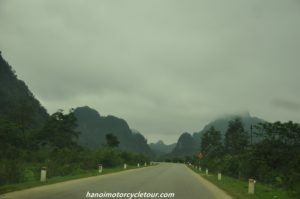 Especially, the road to the pagoda could be the best road for motorcycle touring in North Vietnam. In the Park, there has hot spring 380C. The flora is various with 1.944 species. Diverse fauna includes 71 species of mammals, 300 species of birds, 33 reptiles and 16 amphibians. Besides, there has many animals such as: bears, horses, boars, tigers, leopards, ferrets, squirrels, monkeys… The half natural breeding area has deer, yellow monkey, Delacour’s langur and flying squirrel… which serves the research of scientists and tourists can have opportunity to see animals as in the nature. Cuc Phuong is also the home of hundreds of birds, beautiful and strange butterflies. Currently, Cuc Phuong National Park has become a center providing rare plant species have high economic value for serving forestation programs in the region and the nation-wide. This place has the national breeding for the species. In the future, Cuc Phuong will built and expand experimental basis to provide more varieties of medicinal plants, rare plants to areas. The Cuc Phuong National Park is a great destination for hiking, climbing and also offer a great route for motorbike touring from Hanoi. It also located on the route of many attractions such as: Bich Dong, the ancient capital of Hoa Lu, Sam Son beach…. The attractions listed above are some outstanding samples. 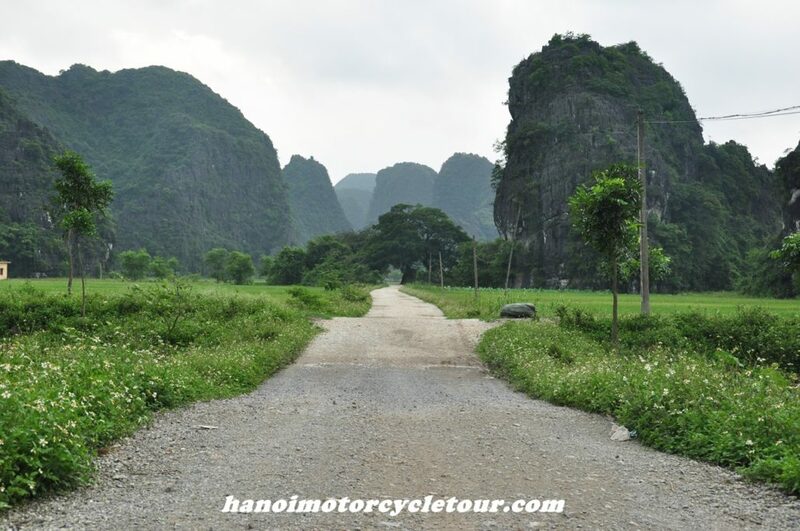 Besides, do motorcycle riding to Ninh Binh with the experienced team of Vietnam Motorbike Tour Expert you can see many other simple local interest that the one doing a bus tour would never seen.